I adored the Anne of Green Gables series as a 10-year-old and it pleases me no end that these books are still popular with our young customers. When it comes to your own favourite classic children’s books, you might want to gift the original to the youngsters in your life, or you might want to find a contemporary book that delivers the same spirit and joy. Or, dare we say, you might even want to give them both. Watership Down was the first book to make me cry, and even inspired an impassioned letter to then-PM Bob Hawke about animal welfare (true story). If you also love anthropomorphic tales that get tears flowing, then Pax will please. The outbreak of war interrupts the special bond between 12-year-old Peter and his adopted fox Pax, and they have to fight to see each other again. I adored being in the mind of a rabbit in Richard Adams’s classic tale, and Pax too is told partly from the animal’s perspectives with alternating chapters by boy and fox. The story delivers as much peril and pluck as Adams’s creation. For ages 10 and up. Crenshaw by Katherine Applegate – For ages 8 and up. Mr and Mrs Bunny: Detectives Extraordinaire! by Polly Horvath – For ages 8 and up. The contrasting personalities and dreams of the four sisters in Little Women delighted me, as did the descriptions of quaint foods, fashions and pastimes, and the very real natures of the challenges that faced them: illness, financial insecurity, societal expectations, balancing family duties with individual ambitions, and the horrors of selling your own hair. The Family with Two Front Doors presents us with a family even larger than the Marches – the Rabinovitches are a family of 11 living in Poland in the 1920s. Little Women fans will be absorbed by the Rabinovitch’s warmth, charity and exuberance; the minutiae, customs and rituals of the household; and the reality of 15-year-old Adina’s arranged marriage. For ages 9 and up. Squishy Taylor and the Bonus Sisters by Ailsa Wild – For ages 7 and up. The Moonlight Dreamers by Siobhan Curham – For ages 13 and up . Treasure Island is the prototype pirates ‘n’ treasure narrative. Teen hero, Jim Hawkins has to battle criminals and mutineers, but also navigate some morally ambiguous territory, via the likeable but dastardly Long John Silver. For an Australian take on the coming-of-age pirate genre, look to The Smuggler’s Curse, which is set in the tropical waters north-west of Australia at the end of the nineteenth century. Young Red Read is sold to notorious pirate Black Bowan by his less-than-stellar mother, and has to learn to survive ship life fast. Young readers will enjoy no-holds-barred action scenes, exotic locations, witty dialogue and seamless historical details. For ages 9 and up. Ice Breaker by Lian Tanner – For ages 10 and up. Escape to the Moon Islands by Mardi McConnochie – For ages 10 and up. Even the cover of Kim Kane’s new novel is reminiscent of Ruth Park’s 1980 Australian time-slip classic. The possibility of accidentally slipping back through time is a wonderful notion for young readers to entertain, and it was captivating to witness the Rocks area of Sydney in the late nineteenth century in Playing Beatie Bow. 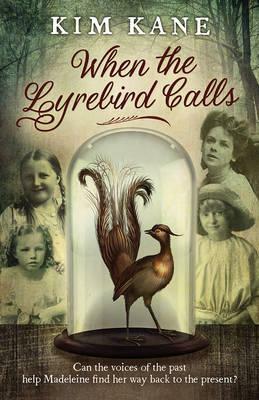 In When the Lyrebird Calls contemporary 12-year-old Madeleine unexpectedly slips back to the year 1900 after a strange encounter with a shoe. She finds herself in the strict and wealthy Williamson household, and is taken under the wing of Gert, one of four sisters. The story is set at a crucial time of Federation and the suffrage movement, with issues of class, gender, race and identity at the forefront. For ages 10 and up. Crow Country by Kate Constable – For ages 9 and up. The River Charm by Belinda Murrell – For ages 9 and up. Anne Shirley, of Anne of Green Gables fame, is a young person with oodles of heart and a habit of unintentionally causing drama. Her resilience in winning people over and her believable flaws, have made her one of my favourite characters in children’s literature. Other Anne fans will surely warm to the recently-orphaned Inge Maria in The Girl Who Brought Mischief. Set in 1911, Inge moves to the tiny Danish island of Bornholm to live with her grandmother. As you may have discerned from the title, Inge attracts trouble with a combination of impulsiveness, restlessness and an outspoken nature. But she is also a compassionate, genuine, and optimistic girl who eventually charms the island’s inhabitants. For ages 7 and up. When Friendship Followed Me Home by Paul Griffin – For ages 10 and up. Run, Pip, Run by J.C. Jones – For ages 9 and up. Eccentric Willy Wonka, the four unworthy brats who win his Golden Tickets, and the one worthy ticket-winner, Charlie Bucket, form one of the best casts of competing characters in children’s literature. And then there’s also the genius and magic of the Oompa Loompa’s, the Fizzy Lifting drinks, the river of chocolate – I could go on and on. Book Scavenger is a wonderfully modern take on the trope of an eccentric creator who sets impossible puzzles for kids. Garrison Griswold is the creator of the Book Scavenger website, which uses cryptic clues to allow people to find and leave books in secret locations around the city. Unfortunately, Griswold is mugged and gravely injured on the eve of announcing his most exciting game yet, leaving it to mega-fans Emily and James to solve one doozy of a literary treasure hunt. For ages 10 and up. Escape from Mr Lemoncello’s Library by Chris Grabenstein – For ages 9 and up. The Mysterious Benedict Society by Trenton Lee Stewart – For ages 9 and up.